Sometimes you have to act on impulse and after I bumped in to some fellow club members checking the pegs and preparing for a match, a chance conversation got me abandoning my plans and changing the targeted species altogether. So the gudgeon session with Sam as previously planned turned in to gudgeon AND Chub and the intended dedicated chub session was now carp…. You see the chance confabulation and exchange of pleasantries put light on an area I’d walked past before but never considered fishing, and I’m not sure why either as what was revealed to me made absolute sense, it really did. So with a specific peg mentioned and Carp up to terramorphous proportions, I was off on another mission impossible. The story was that the owners of the substantial house that backed on the river had a couple of offspring of the mud sucking persuasion who used to cast to this thick area of nymphaeaceae that extended over a decent length. Now having witnessed a group of carp clambering over each others backs to get at the dog biscuits I’d deposited at another thick area of pads on a stretch a few miles downstream. I was eager to see if there were any carp in this area too. The problem was, not a millions of miles away I’d also bait a nice layer of boilies, pellets, corn and hemp down at another swim at a recent barbel blanking session. Was to add a little bait to the X marks the spot peg at session commencement, fish the initially prebaited swim for an hour where I’d dump my gear off, and if biteless move up to the cloak-and-dagger and fish the remaining of the session. Now, for a bit of double dipping, I’d also have a Zander set-up that would be deployed after using the deeper to find any feature that might provide a hide-out. The deeper would also give me an opportunity to see if it would pick any bigger fish out by surveying the area that was new to me. To be honest, I’ve spent £200 notes, got to get some use out of it…. I didn't think Carp of great size lived in the Warwickshire Avon but having caught them now to 20lb after only really a handful of sessions they are they to be had. A fellow but now retired blogger also sometime ago sent me a video of a huge carp milling about in a swim I fished for Barbel, certainly an eye opener as I'd never seen one having fished the swim quite a few times. Obviously location and patrol routes are the key and I was hoping this sharing of information was the hot spot I was after. The last apparent hotspot given to me by a DEFRA backed cormorant cull'er resulted in a couple of blank sessions, well for the carp, not for the Zander where the deeper highlighter a trough which turned out to be a predator hideout as Pike were also caught. So enough of the guff, did I catch anything....? Weirdly even the deadbait rod remained biteless, which is very odd indeed, especially at this neck of the woods where not a stones through away I've had pike and Zander. Conditions are not ideal that's for sure, maybe it was the depth, who know 9ft here, so 4 less than this relatively uniform stretch. So back to square one, this time I'm headed to an area that has been good to me in the past and I know carp have been caught. I wouldn't say desperate times but after the loss of a decent chub, I could do with a bend in the rod. Cheal’s of Henley is a fantastic fine dining restaurant we visit from time to time, and ok, some of the food is a bit fancy and dare I say it pretentious for some, canapés, amuse-bouches and petit fours proceed or follow with the various courses. However despite the more delicate and incredibly well presented plate(s) we always leave with full bellies and obviously well lubricated. If it’s not your thing however, there is always something for the banausic palette, the freshly cooked and warm bread rolls and soda bread with two different butters is something so simple but pleasurable, and a second load to be despatched is only a hand raise away. Simple pleasure in life, nothing wrong with a that…. A desert wine or Glass of Port after the cheese to finish, it’s an evening that gives me so much satisfaction, well only after I put my hands over my eyes and punch in the numbers with my imaginary headwand when the bill arrives. We are only here for a visit, I keep telling myself, life’s not a dress rehearsal…. So for this session it was out with the Michelin Stars…. I’d some steak left over, and having caught Chub before using it, I hoped the bites were less frequent but more violent. Sam had his fishing rod complete with a float setup to drop down the edge, bait well, stupid question really, a maggot or two. The morning sun up, the sky clear when we got to the river it was gin clear and I knew the fishing would be tough. We fished 3 four swims in the end luckily some fish were caught. Gudgeon, dace, perch and bleak all fell to maggot on the float rod and the last swim with a chunk of steak cast the bait to it was tight to the far bank cover. It didn't take long either. Strike, hmmm I didn't connect to the fish. Again, the steak tight to the cover. Tap, bang, wham the fish was on. With all the side strain I could muster the Chub was snag bound, I could see his flanks int he water and it was a BIG chub, sadly after a seconds the fish was off, the 4lb hooklink breaking below the knot on the quick change swivel. Damn, could well have been a PB beater. Despite another piece being in the same place, no more bites. Sam left satisfied with another species to add to his list, I left with the tail between my legs. 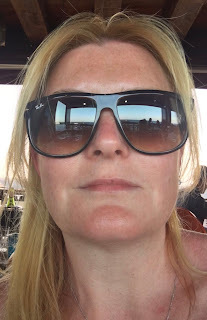 The Wife on a recent holiday to sunnier climes bowed down to the pressure of the thumbscrews and eventually I manage to persuade her that she needed some overly large sunglasses, which seem to be the fashion this days. To be honest it was more the fact that she looks good in them and I like the trend, but also it would stop her squinting like she’d been affected by strabismus or looked like she was constipated and needed to ‘drop the kids off at the pool’ so to speak. Her other sunglasses didn’t cut it you see, to be fair it was a pair she found on another holiday and she couldn’t reunite them with the rightful owner. So an unintentional acquisition I suppose but she’d never got on with them. To be fair as she is rather well blessed in the bosom department, so any matching of proportions, oversize was the only way to go. Luckily she has better things to do than read this blog of mine. So big glasses donned, she was happy, my wallet wasn’t…. Barbel and big ones at that seem to be the trend these days and I can certainly see the appeal, the more and more Barbel I catch I appreciate them as a species, the McVitie’s Rich Tea of the biscuit dunking world, they give so much more to the net than their oreo compadres and their rod bending and arm aching ability is certainly to be appreciated as an angler. Properly rested once netted for a safe return is a necessity. I’m a little stuck in a rut with my 11lb 11oz PB, as it was set some time ago now and it’s one of those PB’s I cannot wait to beat. The problem is, if I actually fished for Barbel all year round, well apart from the closed season obviously, I’m sure I’d manage it, but I probably do a handful of proper sessions throughout the year. They are not hard to catch for starters, well as a species that is and especially with the rivers up and coloured with a smelly boilie or big chunk of spam or a on a hook they cannot wait to clamber up the line. But among the Big Barbel of the Warwickshire Avon, there are also plenty of smaller fish, and that’s all I seem to be catching the last couple of seasons. There are bigger fish being caught in the areas I fish I know that for a fact but still not in the bracket I’d like. So this first up till dusk session was away from the masses to see if I’m missing a trick by maybe fishing areas with banks a little less trodden. As I’m a sticker for the rules If those next few Barbel sessions don’t muster up anything special I want to try and completely new stretch for me for this season which will give me the opportunity to fish past dusk which is when nearly all the double figure fish have turned up for me. 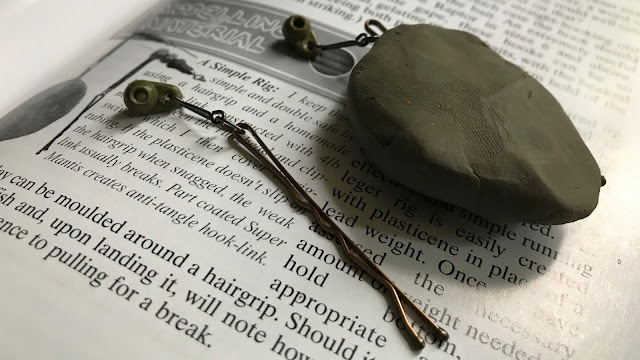 Plans in action the night before, tackle sorted the night before, travel light, one rod, rest, small bag, big spicy crab wafter on the hair to avoid the potential Chub swim wreckers pre-made PVA bags, rock up a couple of hours before dusk, jobs a good 'un. Also part of the session was a little pre-baiting buffet, in a particular swim a stones throw away which I discovered whilst using the deeper. It looked like Carp would like, so it was ear marked for a future session. The problem was I got there late, so I only really had an hour with the bait in the water, and yeap as expected biteless. Well apart from the odd Chub pull. I'd caught a Barbel in this swim before, a proper rod wrenching bite which resulted in a 7lber, but I'm sure there are much bigger fish to be had. The nights are drawing in now, so it's decision time, either fishing in to dark on a new stretch or maybe leave the Barbel to the winter when I prefer fishing for them. I might be able to squeeze a couple or three more sessions in though, we'll see. 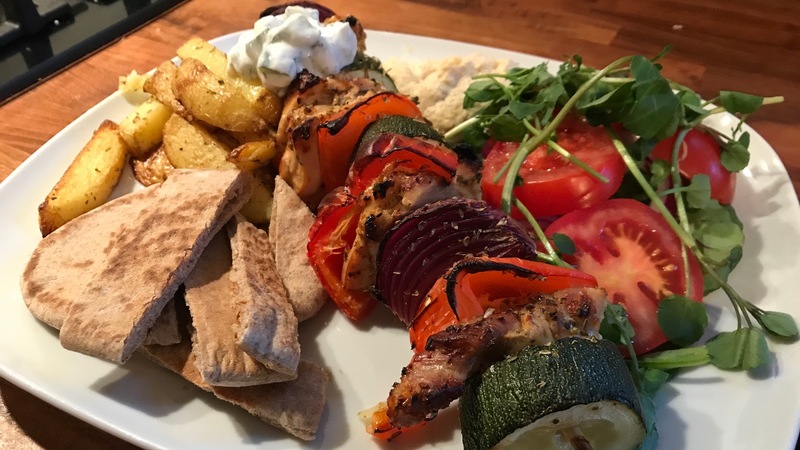 Greek Souvlaki, hummus, pitta, insanity salted chips and homemade proper aioli. The skewers of corn fed chicken thighs marinated overnight in Greek yoghurt, with lemon, minced garlic, oregano and a sprinkling of chilli flakes, for a little heat, wedges of red onion, red pepper, and courgette. Whacked on the barbecue for a little while, a bottle of dry white…. There is something satisfying about simple home cooking…. The session in the morning was simple was well, back to a nice and deep part of the Avon, a lure rod, shoulder bag, net and unhooking mat. A 12g jig head and 12 cm lure was the order of the day and I’d change the lure from time to time for something bigger, something smaller so see what was doing. 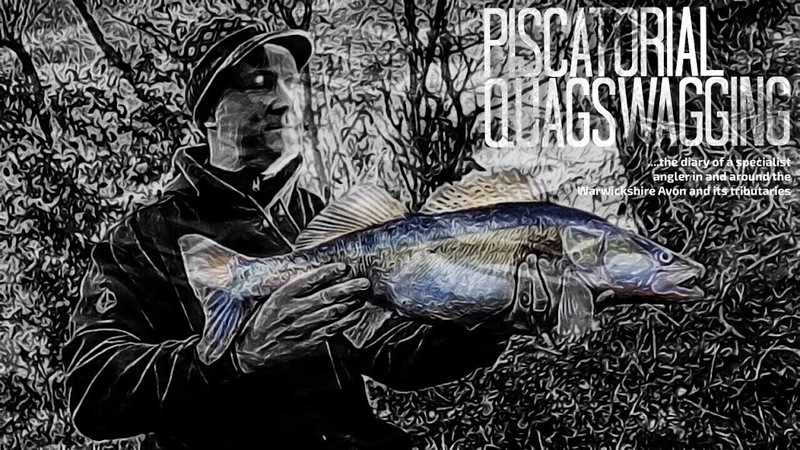 The sky was clear the sun out so I after the 2nd cast when a Zander picked up the bait I was a little shocked, but this area can me like that, fish on some swims but not in others, it’s just the matter of going from peg to peg and see what is doing. The Pike were active too, one lost a few other smaller fish banked and a tiny jack that had eyes bigger than its belly, but nothing of note. Then a larger Zander turned up, it properly nailed the lure and I wondered if it could be the same fish that took the tail off one of the shads with an aggressive bite. 5lb 4oz and a great scrap on a short lure rod…. I do love a Zander and fancy trying some deads here in the winter to see what might turn up…. The bites got less throughout the morning so plenty of casting was required and when the same fish turned up, (I think) in two pegs down it was time to go. An enjoyable morning that’s for sure, I need to do move of it….and less of these quick posts need some adoxography in my blogging. 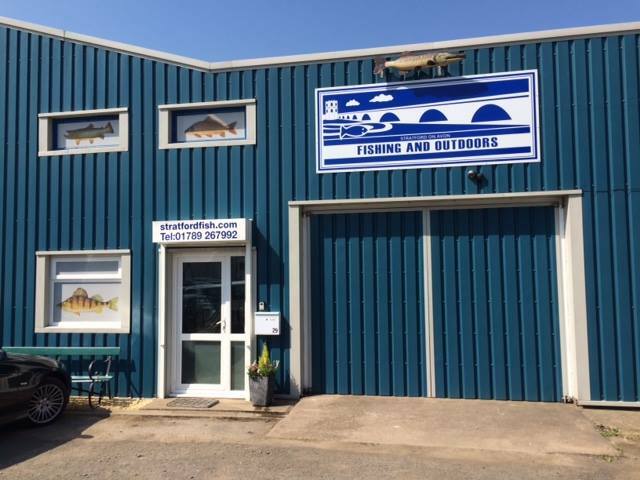 As a fisherman we are always looking at opportunities to fish, and when the Wife booked a lodge for a cheap weeks break away through a disabled charity that owns and runs it, I was on to google maps like a flash. Now recently turned 6 year old Sam accompanies me now and lots of my outings and even he asked can we go fishing when we are on holiday. I couldn't believe it to be honest, the River Ise was literally the end of the lodge and the Ise, in the past has been home to big Roach, and Big Roach is what I'm after to increase my blogger challenge points. I know spots on the Warwickshire Avon chock full of Roach especially in the winter, but I've yet to bag anything remotely decent despite catching a bucket load of them, excuse the pun. Now the Northamptonshire Ise after a little googling a tributary of the River Nene. The river rises in the very field that hosted the Battle of Naseby at the north-western tip of Northamptonshire. Flowing east past Desborough and the Eleanor cross at Geddington, through the grounds of Rushton Hall it then turns south and passes Kettering, through Wicksteed Park, past Barton Seagrave, Burton Latimer and Finedon before joining the Nene just south of Wellingborough. Apparently It is also the only watercourse within Northamptonshire to contain grayling (thymallus thymallus). In the past the large and big Roach population has diminished and the river changed in character aplenty from it's heyday and from what I found out largely unfitted these days. Then again what brook is, a commercial fishery is just round the corner. Now on arriving, I was shocked just how chocker it was with reeds, and lilies and all manner of other plants, it also appeared to have little or no flow. And look what we found, there were a few clear areas, and my God, it was tap water clear, but within a 100 yard stretch there was more than enough fishing spots to dangle a bit of bread flake. After 10 minutes exploring fish were spotted, a group of Chub, biggest looked around 4lb, a Pike a tiny Pike and what I was after, the red fin. You see under an overhanging tree there was a group of Roach that were sat in their sanctuary, enjoying the peace that they won't have for long. A baited with a bit of bread mash and let them get their heads down. The Chub were as spooky as hell and I despite a big pieces of bread flake under their noses they didn't take it. The was to catch them was to fish, really difficult to access shady swims where they wouldn't likely see a fisherman's bait. The evening was a different proposition, from half an hour before dusk the fish started to feed, the smaller Roach were happy to feed before this, but they out numbered the larger Roach tenfold which meant they couldn't get a look in. Bread and only bread was fished and one particular swim there was two Roach that were well over a pound, doesn't sound much for the avid Roach fisherman, but for me it was a revelation, I ain't seen a stamp of Roach this big before. Sam joined me for all the trips bar one and that was the trip that I managed one of the bigger fish out the swim, 1lb 4oz's of it. Which although a mediocre PB, is a PB after all. The other bigger fish sadly remained elusive in the last trip, but I really do miss fishing these types of rivers, there must be some real gems of fish to be had considering I only fished a section of it. To be honest some of it needs cleaning up as it was neglected, traffic cones, tyres, scaffolding poles, is not what someone wants to see over a bridge. Now if anyone knows of any decent Roach on my Warwickshire stamping ground, please let me know. The Nepalese momos were very tasty indeed, bite-sized stuffed dumplings with a spicy dipping sauce piping hot straight from the steamer, the lamb Gorkjali, well what can I say, rather nice, just about the right amount of spice and the garlic, well as I like it, plenty of it. Unlike the namesake who are the most fierce, brave and the most determined soldiers in the world, the curry wasn't as fiery as expected. Although they are only 5 feet tall in average, they are still respected because of the level of bravery they have soon in the field. Throughout the years, Gorkhali have received many highest honour medals. 14 have received the Victoria Cross, cannot knock that, incredible. I’m not sure I’ve found my favourite Indian restaurant in the area but the problem is when you feel happy and comfortable with one place, where you get excellent food and service it’s difficult to venture to pastures new especially when a brandy under a burner is on the house. It’s not rocket science business owners, give the customer what he wants, to be fair thinking about it, not sure I'd rush back…. However after last nights indulgences where some ale was consumed too, I needed a large and open swim for obvious reasons…. I’d not ventured down this end thus far this season but this session I planned to settle in one swim from early morning till lunchtime, not the time I’d usually fish for Barbel but I’ve had some success in the past at this time as often they are not expecting an angler to be dangling a line. 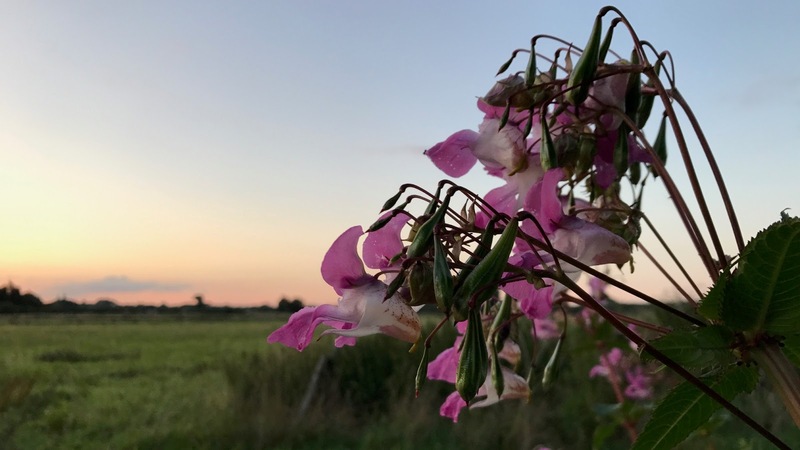 I like to be as independent as possible when I fish, always on my terms, often at areas that are untapped, but down here the foot traffic is a little more than I’m used to, but then there is a good reason for that, there are some cracking fish to be had. ....as prominent as a light blouse wearing underdressed female out in the cold. At least there is somewhere to hang ones wet duffel coat…. It was a swim that screamed fish, but as we all know, Barbel if they are not up for feeding, are not up for feeding, end of. The usual spicy boilie and PVA bag was the main attack but I also had a buoyant float set-up that I use from time to time with some meat suspended under it. Fish often hold station in the slacker water you see and venture out in to the flow to intercept any food items that are headed downstream, it means less energy is used for starters but the natural conveyor of food is ideal for a sight feeder and food grubber like the Barbel. To try and mix it up a little a moving bait may well be an edge I needed, it would mean if there were fish up for feeding it would search them out better than a static bait. A lovely sunrise, the field misty but upon getting to the river I realised the levels had dropped considerably, and the crease going from a DD to a fried egg. After an hour without a bite I moved upstream and fish a peg that is always active, a few small chub later and a line ripping run that for some reason I didn't connect it was time to move on. Sean had appeared upstream and after a natter I decided to change tactics and change to a truncheon float and fish it after a walk up to a much shallower but faster swim, a chunk of meat under it, hopefully the fish would be up for a moving bait. Come dusk things would be different, certainly an enjoyable session even though no further blogger points were gained, 10 or so chub and 1 barbel ain't to be sniffed at. The dreaded sciatica was back with a vengeance, ones spinal disc herniation tweaking one of the sacral nerve roots leading to tingling pins and needles and pain down ones leg that is difficult to manage. The last time it flared up was some time ago in work and the only thing that seemed to touch it was the opioid Tramadol donated by fellow automotive engineer and long gone fugitive Steve ‘Serial Killer’ Humphries. The problem was when taken as an immediate-release oral formulation the pain seemed to subside, but then so did my senses. After all dose-by-dose basis it has one-tenth the potency of morphine, spaced out was an understatement. Apparently the most common adverse effects of tramadol include nausea, dizziness, dry mouth, indigestion, abdominal pain, vertigo, vomiting, constipation, drowsiness and headaches. And I could put a tick through most of those, the drive home from work was stupid, luckily uneventful…. Scaldingly hot water bottles and exercise seemed to sort me out in the end and to be fair I’ve been ok for a while now, so this onset wasn’t welcome. Work doesn’t help that’s for sure as I’m less active then Jeff Hatt is at fishing, and being active is the key, so this cobbled together session was to an area of the Warwickshire Avon that has been kind to me in the past with all manner of fish in residence. It’s a gateway from the slow to the not so slow you see, where fish can have the best of both worlds as they see fit. In the chill-out space or the full on rave, the lap dancing dance floor to the private room. A Roach deadbait on one rod, a spicy boilie and half a saveloy of freebies on the other. It didn't take long for the first fish a lean but long 6.04oz Pike that took a liking to the Roach but then the action sorted of halted, it didn't take long for the next bite on a dead either but for some reason despite the rod nodding I didn't manage to get a hook-up. Dan was downstream fairly better than me I might add and after photographing a fish for him I was back at the rods. The Barbel rod was very quiet indeed, the odd tap and pull that didn't develop in to a bite. After buying a job lot of a certain mining company shares some time ago now, it looks things are on the move, the company told investors like me that the company has concluded a “very successful” second round of follow-up meetings with Tanzanian government departments and its stakeholders regarding the special mining application. I’ve been watching Tanzania movement for a while now as I’m sure it provides one of the most attractive investment environments in Africa following its embrace of open-market economic policies starting in the mid 1990’s. Gold, diamonds, gemstones and more recently nickel and uranium, what’s not to like…. About time, I need to see some movement on my investment. I’ve a Porsche Turbo S with my name on it remember. Not going to happen anytime soon though, turning a penny in to a pound ain’t that easy, but I’m not quite ready to #moveon just yet mind you. A big stumbling block mind you, as a rock passes ones noggin…. You see, the problem is since his election two years ago President John Magufuli who has a nickname “the bulldozer” because of his leadership style has recently taken a series of actions to redistribute mining revenue to Tanzanians, and recently passed two new laws that contain sweeping changes to the legal and regulatory framework of the mining industry. An export ban on gold and copper concentrate exports has been in force since March, tax upped for mining companies, another kick in the goolies. I’m waiting the future events with bated breath. Now talking of mining, this seemingly unfathomable stretch of the Warwickshire Avon, really is very deep indeed and I’m sure they are some gems to be had, why wouldn’t there be, you see if something big wants to hide it’s here. Danny and I were biteless last time, but I came armed with a different approach for this session, as one of the carp set-ups was changed for a zander set-up and an evening was swapped for a morning session. You see when the lead dunked the bed it just felt right, like a freshly laid table cloth ready for a Sunday Roast, both needed to go together. It needed a trap set….this time a couple of smelly ones…. This was the first outing of the Deeper Smart Sonar Pro+ and throughout the morning it was clear that the start the end and the bit I was fishing the middle of this 0.7 stretch mile was to be honest fairly uniform in depth, the majority 10ft, up to 13ft in places and then the old hole that took depths to 20 foot., so to be fair we hadn’t stumbled on a hot spot, hmmm. I’ve not read the manual properly yet, but worked more or less out of the box. It produces its own wifi signal so connection to the iphone was seamless. It switches itself on when it touches water and the app, really easy to work, albeit it seems to eat battery life. This pedestrian stretch is ideal too as you can cast out and let it go down with the flow as it maps out the bottom. I need to play around with the sensitivity as up to max it picks up more or less everything that moves I think. There appeared to be completely baron areas which isn’t good but at least gives me a heads up in any swim I fish. Heck, I might even get to know how deep Snitterfield Reservoir and College Pool are. Then again I’ve not fished those for years. The GPS feature on the pro means after downloading the UK maps you can have a split screen showing map and the fishfinder and after casting out it marks out where you are casting. For lake fisherman this looks a superb feature as the map and the depths / information you have collected can be recalled. Anyway back to the fishing, a hole and a shelf was found in the couple of swims I decided to fish and not a jot on the meat bait but there were predators in residence, 4 greedy jacks and one Zander of 3lb 6oz and one even smaller graced my net all on sections of Lamprey. I’m sure there was Perch down there too as something was plucking at it on the drop but ignored it on the most part when it got to the bottom. The deeper is certainly a useful bit of tech and I’m looking forward to using it again. Brief accounts of prodigies and wonders within Phlegon of Tralles’s Book of Marvels dated from the 2nd century AD, feature ghost stories, monstrous births, strange animal like centaurs, hermaphrodites, giant skeletons and prophesying heads are clearly tongue-in-cheek and offer no veracity to the authors claims and yet strangely at the time many wanted to believe…. If I hadn’t seen it with my own eyes, I’d have found it hard to believe any Barbel >15lb would live in the relatively small areas of Warwickshire Avon I drown ones maggots, heck I’ve even seen a Wild Boar, yes really. But saw the big Barbel I did and despite a few attempts to catch it via the Gluttonous Chub Poka-Yoke rig, it didn’t grace my net. seals, SEAls, SEALS yeah right…. Ok we’re not talking a Loch Ness Monster here, this is just an overly large fish that stood head and shoulders above the humdrum which, let’s be honest, they are easy to catch. Sadly I don’t fish those club waters any more but it really did make a myth in to reality. A little like the works cat that has made this bush its home, wherever Barbel feel comfortable they generally hang around till it’s forcefully moved on or its haven has been removed. This cat has been in residence for well over 18 mths now, pet or vagrant, I’ve not a clue but I always give it a thumbs up when passing, a few beef space raiders if I’m not down them before I meander past. There are some decent Barbel to be had on this stretch though and my best so far, a near double was caught in January can easily be bettered, hence why I’m here again, especially after the loss of a decent fish the middle of last week. An adjustment I made to the rig as I didn't want to lose another Barbel to the upstream weeds again was something I saw in Steve Stayner's Barbel Obsession book where on a section about fishing tight to snags he moulded a bit of plasticine around a hair grip, which looked ideal for the running set-up I use, I had all the items required too, so easy peasy. If one went snag bound again, hopefully would be the change required. Enough of the guff, back to the short session....? I rocked up at 7.00pm, Martin already in one of his favorite swims, the swim I wanted to fish occupied, but I know for a fact, you can be bite-less all day, but when the light starts to go, the fish start moving. A quick natter with Martin who was doing his usual trick of, yeap you guessed it catching fish. The tally at the end was 3 barbel and 8 chub I think. Anyway the swim I wanted to fish luckily would be occupied at 8.30pm, so I settled in the next swim down. As suspected a small Chub and a few other rattles rather event less. With an hour left the swim was free I lost the Barbel last week, so with a bait positioned in between the streamer weed, pva bag of freebies, it was time to sit back and relax. Sun down, 15 minutes before published dusk, a few tentative pulls develop in to an unmistakable Barbel bite. As fish took a liking to the 15mm squid and prawn pellet and was powering off downstream. I love using a centrepin as the control over a powerful Barbel is superb. I tuned the fish and this time it was going upstream as the fish did last week. Again, some pressure to get it out the reeds and this time I managed to keep it out most of them. Netted and recovered in the net it went 7lb 4oz. Not the biggest of fish, but got to love a Barbel.